Are you suffering from chronic or acute neck or back pain? Are you living in Winter Park and looking for therapeutic, clinical massage treatment? 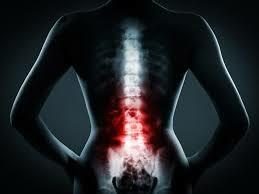 I treat sciatica and disc pain back problems as well as neck injuries such as thoracic outlet syndrome. Your pain will soon be a distant memory with my advanced soft tissue therapy. I guarantee you will experience immediate results and perhaps total pain relief after your first visit. My name is Michelle Hamel, LMT-NMT. I am a Certified Neuromuscular and Myofascial Release Therapist. I am known for the advanced therapeutic massage therapy I provide. I have over 18 years of clinical training and expertise which quickly aids my clients recovery from soft tissue injuries. They are thankful and free of pain, enjoying their life without restrictions. The therapy I use quickly resolves the soft tissue damage caused by either a herniated disc or a bulging disc, injured joints, and pinched or compressed nerves. My soft tissue work also resolves entrapped or compressed nerves, in the neck, back, shoulders, elbows and hips. These proprietary soft tissue protocols offer the specific work and focus necessary for your quick recovery. Call (407) 628-2176 for your appointment. You have nothing to lose but your pain! “In 2009 I started to have pain in my left leg and led to a diagnosis of Sciatica caused by a bulging disc in my back. In an effort to control the pain I ended up on three different medications, physical therapy and spinal injections. Even with all of this “treatment” I was still in constant pain and had started down the path of surgery. A friend sent me a link to the “I Help Back Pain” website where quite honestly I didn’t believe that they were for real. I eventually made an appointment where I met Michelle. I told her that I was extremely skeptical and was only there to stop the nagging of my wife. What happened over the next 2.5 months was nothing short of life changing for me. With weekly treatments I was able to gradually reduce my medications where by the end I was on ZERO medicine with NO pain. Once I reached that stage I was done. I had no pain at all for over 9 years until this year where due to not taking care of myself and following Michelle’s recommendations I starting to have some pain now in my right leg. I’m back seeing Michelle and am already on the path to recovery. “After several years of consultations and treatment with various practitioners I finally visited with Michelle in August 2012. What a relief! My back pain has disappeared and with her special therapy and guidance for a daily back stretch I feel the best I ever have with my spine. I am also being treated on both shoulder joints for flexibility and extension. Her muscular therapy and stretching exercises helped me to move my arms and turn my neck painlessly like I was 20 years younger. Sounds too good to believe? Try it yourself if you are having constant back and shoulder pain and cannot reach above your head.” ~ Karl C.